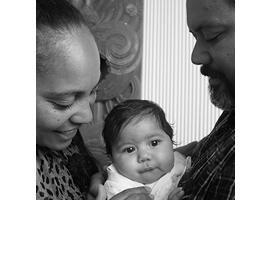 Pirirakau Hauora offers a Kaupapa Māori Ante-Natal Programme through ante-natal classes and parenting education classes. These are delivered throughout the Western Bay of Plenty. The Ante-Natal Programme is a total of 12 hours in duration whilst the parenting course is a minimum of three (3) hours in duration. The other areas that are promoted are the benefits of breastfeeding, and the benefits of immunization, and smoking cessation for pregnant mothers. Te Manu Toroa also provides a health promotion service focussing on whānau who have tamariki aged 0-6yrs, focussing on smoking cessation for mothers, injury prevention and breastfeeding promotion. 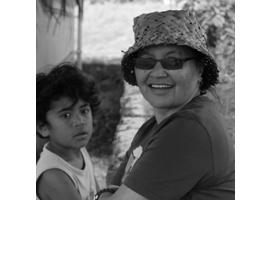 The Tamariki Ora team have a core focus on Pepi and the wellbeing of the mother. They also deliver health promotion messages/education and link with Te Manu Toroa health promotion aimed at whānau with pēpi/tamariki aged 0-6yrs. Te Manu Toroa advocates for pepe enrolling with their Kaupapa Māori Oral Health Services which cover the Western Bay of Plenty region. Access to the service is via Pre-schools and Primary Schools, Te Kōhanga Reo and mobile oral health units. The Ngā Mataapuna Oranga GP clinics operated by Te Manu Toroa and Pirirākau Hauora offer a full range of primary healthcare services to pēpi and their whānau. We encourage whānau to register their newborn pēpi straight away with our GP Services, and not to wait until the first six (6) week check is due following birth. The Ngā Mataapuna Oranga Provider Network provides full and comprehensive healthcare for your tamariki from 0-12 years of age. This includes full primary healthcare services offered by Te Manu Toroa and Pirirākau Hauora GP Clinics. The GP Clinics offer a full immunization service throughout your child’s development. The Ngā Mataapuna Oranga Provider Network has been delivering Tamariki Ora/Well Child Services since 1999 and works in a close collaborative relationship with Plunket NZ to ensure tamariki are provided the optimum opportunity to attain an excellent health status before they reach primary school age at five (5) years of age. This includes the eight (8) core Wellchild checks plus the Before School Check. The overall aim of the Tamariki Ora Service is to provide holistic healthcare that focusses on the overall development of the child. This includes physical and mental development and health promotion messages/education. Te Manu Toroa also provides a health promotion service focussing on whānau who have tamariki aged 0-6yrs, focussing on smoking cessation for mothers, injury prevention and breastfeeding promotion. 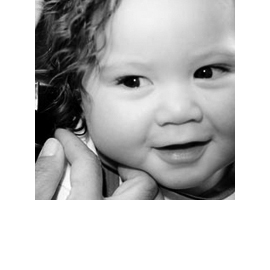 Te Manu Toroa provides a comprehensive Kaupapa Māori Oral Health Services to tamariki aged 0-12yrs ( preschool through to intermediate) which cover the Western Bay of Plenty region. Access to the service is via Pre-schools and Primary Schools, Te Kōhanga Reo and mobile oral health units. Te Manu Toroa also provides oral health services from clinics operating at Tauranga Moana City Clinic in Gate Pā and Te Ākau Hauora in Papamoa. They also provide special dental benefits for relief of pain for your tamariki and will ensure they are treated in a timely manner. The parents will need to transport them to the nearest available oral health team. Year 8 students can enroll with Te Manu Toroa rangatahi (adolescent) oral health services as they provide service up to the end of High School (13-18yrs). Please see rangatahi services below. This will ensure they are enroled with an oral health service o leaving intermediate (yr8). 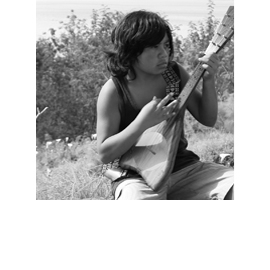 The Ngā Mataapuna Oranga Provider Network provides a comprehensive range of child and adolescent mental health services that include social work, advocacy and mentoring, peer support, and alcohol and other drug addiction counseling. The Ngā Mataapuna Oranga Provider Network provides full and comprehensive healthcare for your rangatahi from 13-18 years of age. This includes full primary healthcare services offered by Te Manu Toroa and Pirirākau Hauora GP Clinics. The GP Clinics offer a full immunization service throughout your child’s development. 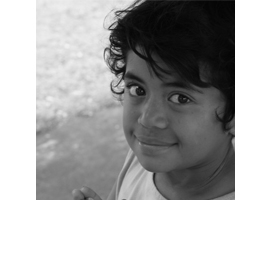 As your rangatahi go through the development stage of moving from being a child to a teenager through to being a young adult, it is important that they become familiar with their own health needs so as when they move onto their adult years, they are able to lead a lifestyle that will promote optimum health for themselves and their whānau. Pirirākau Hauora and Ngai Tamawhariua offer a whānau ora service which has a key focus on health promotion messages to equip rangatahi with the right information and knowledge to make quality choices for themselves. Te Manu Toroa provides a comprehensive Kaupapa Māori Oral Health Services to rangatahi aged 13-18yrs ( Yrs9-13, High School) which cover the Western Bay of Plenty region. Access to the service is via Katikati College, Ōtumoetai College, Tauranga Boys and Tauranga Girls College’s, Papamoa College, BOP Polytechnic school for teenage mothers, some of the whare kura and Te Puke College. The mobile oral health units visit these colleges through the year and offer services to rangatahi who have not enroled with the dentist on leaving intermediate and/or have not seen a dentist for 2 years. Te Manu Toroa also provides oral health services from clinics operating at Tauranga Moana City Clinic in Gate Pā and Te Ākau Hauora in Papamoa and rangatahi can enroll directly with them. They also provide for the relief of pain for your rangatahi and will ensure they are treated in a timely manner. The parents will need to transport them to the nearest available oral health team, either at one of the colleges they are based at or Tauranga Moana City Clinic in Gate Pā and Te Ākau Hauora in Papamoa. The Ngā Mataapuna Oranga Provider Network provides full and comprehensive healthcare for pakeke from 18-64 years of age. This includes full primary healthcare services offered by Te Manu Toroa and Pirirākau Hauora GP Clinics. The GP Clinics offer a full range of services that includes illness prevention strategies, general wellness checks, and the management of chronic diseases such as diabetes, asthma, and cardiac issues. Pirirakau Hauora and Ngai Tamawhariua offer a whānau ora service which has a key focus on health promotion messages to prevent the onset of chronic diseases or preventable diseases and/or to ensure those with chronic diseases are accessing their GP and specialized community nursing services. Staff work with the whānau to develop health plans. The team ensures that key messages relating to men’s and women’s health are promoted such as breast screening, cervical screening, prostate screening plus healthy activity and healthy eating. They work in collaboration with the GP clinics and specialist nursing teams to optimize peoples’ health and wellbeing. Please contact Te Manu Toroa as there are different pricing structures in place to meet your needs. Please note that they do not offer a credit facility and all work must be paid for on the day. This can include full fee paying clients, part co-payment for CSCH or WINZ is funding the relief of pain procedure. Te Ākau Hauora in Papamoa will be offering services to adults in the not too distant future. The Ngā Mataapuna Oranga Provider Network provides a comprehensive range of adult mental health services that include social work and home-based support including alcohol and other drug counseling/support. The Ngā Mataapuna Oranga Provider Network provides specialized Community Nursing Services through Te Manu Toroa and Pirirakau Hauora. They have a key focus on their management of individuals’ with identified chronic diseases such as diabetes, asthma, and cardiac issues. The Ngā Mataapuna Oranga Provider Network provides full and comprehensive healthcare for kaumātua from 65 plus years of age. This includes full primary healthcare services offered by Te Manu Toroa and Pirirākau Hauora GP Clinics. The GP Clinics offer a full range of services that includes illness prevention strategies, general wellness checks, and the management of chronic diseases such as diabetes, asthma, and cardiac issues. Some of the Ngā Mataapuna Oranga Providers offer Kaumātua Programmes which focusses on health checks, healthy activity, and eating, and deliver these from various marae through the Western Bay of Plenty. Ngā Mataapuna Oranga is actively involved with the University of Auckland studying the effects of aging, and Kaumātua throughout the Western Bay of Plenty have volunteered to part of this research to benefit those in the coming generations.